A GUEST POST by Neena, on behalf of CouponKoz. In my lifelong stay in the recently divided southern Indian states of Andhra Pradesh and Telangana, the one place I love and would suggest you to visit is Araku valley. 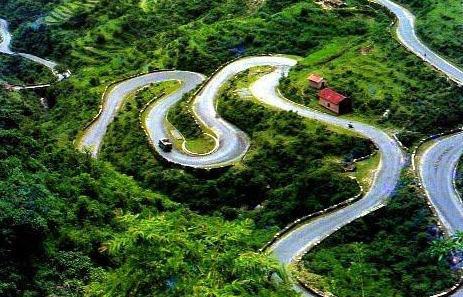 A popular hill station 120 km from Visakhapatnam, it is both a spot to unwind and appreciate nature. Located in the Eastern Ghats, it is known for its picturesque beauty. The journey to the valley itself has everything to please the eyes – green valleys, gushing waterfalls and streams just beside the train tracks and roads. 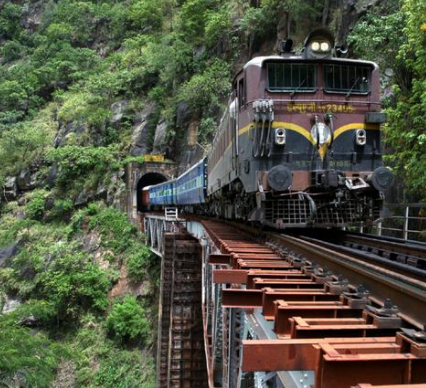 An ideal way to travel to Araku is go by train and return by road. Tourists usually make Visakhapatnam their base for the Araku trip. The early morning Kirandul Passenger takes you to Araku within 4 hours. Many people prefer alighting at the station of Borra caves, an hour before. The Araku railway station is the focal point of the town, and many resorts are in and around 2-3 km from the station. The railway station also has very affordable boarding facilities (3-bed room at Rs. 165 or a 7-bed room at Rs. 40 per head). Spots to see within a radius of 2 hours are Padmapuram garden, tribal exhibition hall, motion picture shooting and Galikondalu point. 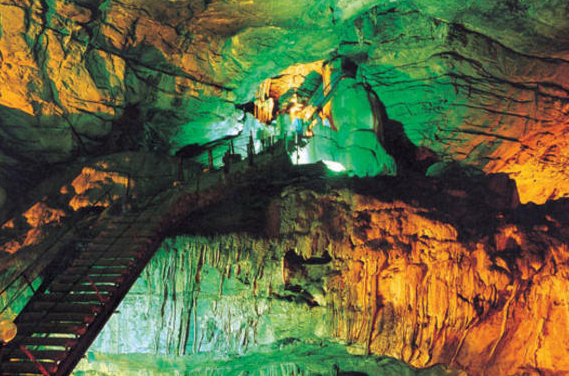 A must-see are the largest caves in the Indian subcontinent – Borra caves. Situated in the Ananthgiri hill ranges, these caves were accidentally discovered by William King, a British geologist in 1807. Estimated to be 150 millions years old, these caves have very oddly shaped structures – formed by the continuously dripping water reacting with the calcium carbonate in limestone. After Borra caves, go see Chaparai, another beautiful place to see the river waters, as well as coffee estates on way to Araku. Once you had your fill of nature, you can easily catch buses back to Visakhapatnam, available at regular basis from near the railway station. Sounds interesting? Check out the various bus, train and flight packages on Couponkoz. Best way to travel to Araku – train from Vizag. Great pictures with nice write up !! I spent quality time in Borra and Araku valley for every summer in my childhood. After reading this article I got a chance to remember those good and valuable days. Sivaji, that must have been fun – spending so much time in such a beautiful place. 🙂 Glad to know that this post rekindled your childhood memories.